Monarch Christian Schools believe that each child is a unique individual and values the optimum development of the whole child. Our schools provide a solid academic foundation which stresses the basic fundamentals of learning from a Godly perspective. There is emphasis on Christian character development, stressing integrity, manners, obedience, respect for authority and self-discipline. Our schools seek to reinforce standards as set forth in the Bible. Monarch Christian Schools are based on Christian, Biblical principles and beliefs. 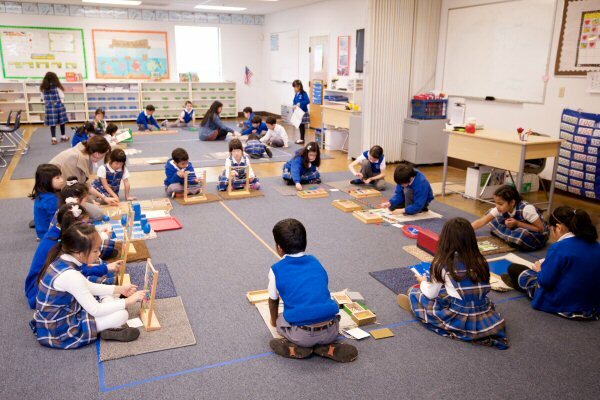 A strong foundation in the basics is blended with the “hands-on” Montessori techniques. With this program, the children are exposed to a great amount of learning. The blended techniques create a unique educational package where children can grow to their fullest potential. Therefore, teaching the total child, spiritually, intellectually, physically, emotionally, and socially helps him/her to receive a happy balanced life. The child is intrinsically motivated to select appropriately from a teacher prepared environment. This environment offers attractive, practical, stimulating materials that meet the needs of each child. The teacher gives guidance and encouragement accordingly. Montessori is a method of education which emphasizes the potential of the young child and which develops this potential by utilizing specially trained teachers and special teaching materials. Montessori recognizes in children a natural curiosity and desire to learn; the Montessori Materials awaken this desire and channel that curiosity into a learning experience which children enjoy. Montessori Materials help children to understand what they learn by associating an abstract concept with a sensorial experience; in this manner, the Montessori child is actually learning not just memorizing. The Montessori Method stresses that children learn and progress at their own pace so that fast learners are not held back, and slow learners are not frustrated by their inability to keep up.